WOO - HOO!! What an OUTSTANDING Weekend! It was so unbelievable and amazing that you MUST go to experience it for yourself. I won't even try to explain it but I'm going again in February 2008 if you want to come along. Tony Robbins doesn't try to change your life or motivate you, he just helps you to do it yourself if YOU want to! Then he just shows you how and how to draw on the resources within yourself. It's not about changing yourself but BEING yourself! Friday - we turned up at the Excel about 9am and met Stuart, Juswant, Sylvia, Daniel and Viv from the property forum. Queued to get our books for the course, which kicked off around 1pm. 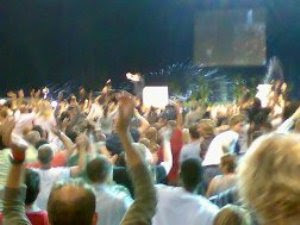 Tony Robbins came on stage and the Excel Arena was buzzing. His stories were great and a joy to learn from and we'd be jumping up and down and dancing and high fives and just having a blast. Learning has never been so much fun. Some people were reserved but when we told to give each other massages and sit next to strangers, it is amazing how much they will share with each other. The build up was to get us to walk on fire at upto 2000 deg F for 12ft. Saturday - Another early start. I saw Dipak from the property forum wandering around and I hadn't met Heather or Les yet. Sometimes it's hard to find someone in a crowd but kept seeing a girl I thought I recognised. Natalie Imbruglia was also there and Jo Cameron from the Apprentice, who I think might have been stalking me as she was always going to the toilet at the same time as me! Can you imagine 10,000 trying to use the facilities at the same time!! Anyway, back to our mate Tony Robbins. He explained how he dealt with people's problems and how there is always a deeper reason for why people say there is something wrong. He then links massive amounts of pain to that thought and shows you the massive amounts of pleasure you can get if you overcome those silly little images in your head. As most people will do more to avoid pain than get pleasure. We covered aspects of NLP which I'll write about once I've been to see Christopher Howard in September. I liked to sit around with and talk to new people (as that was one of my fears) and met some girls from Glasgow BNI, some guys from London, some ladies that were going to the Mastery University, actually lot's of people from everywhere of all shapes and colours and ages. It was great being able to relate to them all. It was surprising how open people were that spoke to him on stage and how he helped them overcome these blocks. One lady had some serious issues about being abused as a child. Tony helped her overcome it and it was unbelievable! He said "you are a new person now and not who you were then. You're not to blame for what happened. And why think about it? Would you go watch a bad movie 1000's of times and over and over again or just forget about it!" So simple, yet so effective and true. Mirroring and matching was on the agenda - we emulated the physiology of a couple of people and when we got it right, we could feel what the person felt and in some cases see what they were seeing in their mind! AMAZING! Lots more dancing, hugging and high fives and about midnight we headed to the bar at The Yacht Hotel, where Stuart was staying and chatted to some ladies from Ireland. They were 'facilitators' (teachers) and we had a go at Quantum psychology and sending thoughts to each other (not a good experiment after a couple of drinks). Also discussed the cosmic mind and infinite intelligence around us. Stuart did know what I wanted from the bar earlier and it wasn't my regular drink so there is definitely something there. Bed for 2am I think. Sunday - Cracking start at about 8.30am. It awas really nice starting the day with hugs and high fives from everyone. We had already anchored ourselves to feel on a high when certain music was played, getting centered and breathing out, when we said YES, and punching the air with our right fist. Today we would focus on getting rid of all the bad feeling we had (not just the thoughts and fears as previously) and replacing them with feeling of gratitude and love. The room was so emotionally charged it was unbelievable. Then before the end everyone went nuts (again). The last 3 days were like a fantastic Rock and Roll Concert but... BETTER! Left on a complete high. Some of the security girls were trying to avoid me as I ran out of the main hall - bad move, not just a high five but a hug and a twirl as well. How much fun was this. Went to the Novotel Hotel and got chatting to loads of people. Met some Italian guys who had flown over as volunteers for 4 days - and these guys were still jumping up and down till 3am. If you can't beat them join them. Monday - Sat behind a guy that I recognised, he reminded me it was from the mirroring/matching from the day before. I was stunned, I felt like I'd known him my whole life. This day was mainly about Vital Life and how to be healthy, being taught by Joseph McClendon III, he looks about 30 something but is over 50! just to teach you about how you get conflicting information on health and it is best to stand back and think about it from a common sense point of view. For instance "have you ever seen a cow drink cow's milk?" As we left the Excel about 8pm (an hour after most people) - a girl selling water and looking bored got an unexpected high five and a twirl. The big guy on the coffee stand wasn't interested in standing up for a hug till I threatened to chase him round the Excel. He complied... Who's yer daddy!!! The Excel staff didn't know what hit them when we left... but in a nice way. I hope the Italians are there in February when we go back - as we WILL take it to another level. Well I think I've told you more than enough already, don't want to give everything away before YOU go. This write up has taken long enough and I have 4 days of work to catch up on. P.S. If you'd like to attend the next Tony Robbins UPW (Unleash The Power Within) in London, email: upw@networkbillionaire.com , with your name and number, to get the best deals on tickets. Reads like it was an amazing event! Tony Robbins teachings are a must. 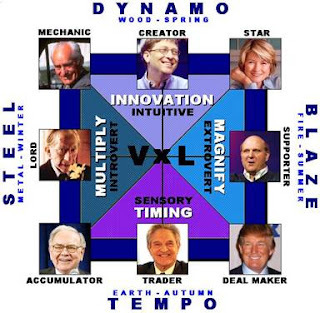 I think you (and your readership) might be interested on The League Of Extraordinary Minds. 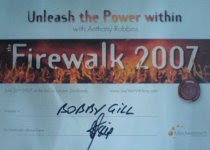 It is a free online event put together by Jay Abraham and Rich Schefren and Tony Robbins will speak there! Since it is an online event you wont have to travel! Rich Dad Strategies. Find out Why the Rich are Getting Richer & How You Can Be Rich Too! Yes, THEY know where you are! © Bobby Gill 2013. Powered by Blogger.